3D Design – Let us be your partner in designing a successful and eye catching fitness center design. 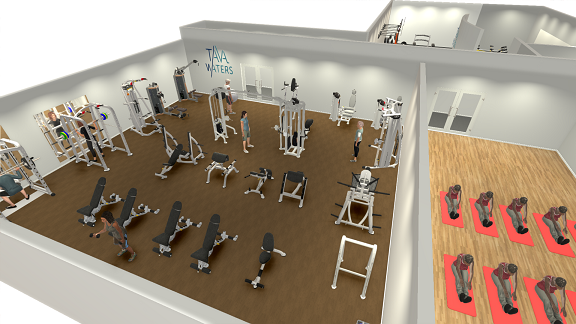 With careful planning of your new or existing facility we will maximize your space, “wow factor” and budget. 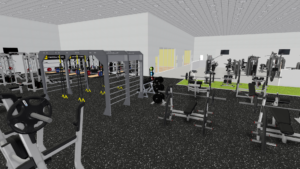 Sport and Fitness offers a complementary computerized floor plan design to help you visualize your future fitness center. 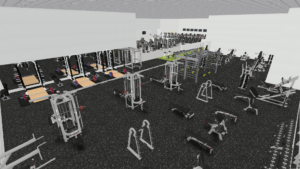 We understand that the right product selection and layout is one of the most important aspects of the success of your facility. 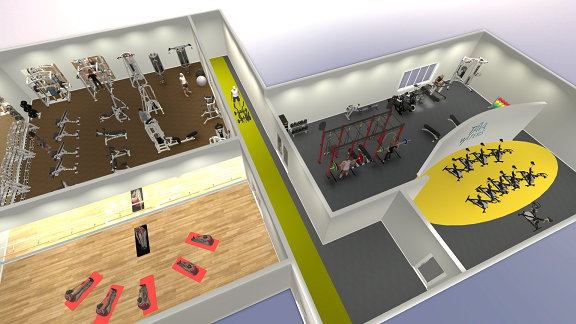 We commit to helping you every step of the way in designing your fitness area. This beautiful multifamily design features a 5 station Nautilus Multistation cable unit as its focal point. 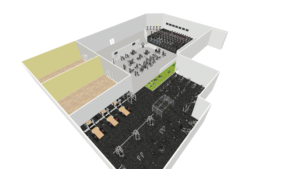 It measures about 1400 sq ft for fitness space with an additional 650sq ft group exercise studio. Various cardio options were included with personal viewing screens and Star Trac Open Hub Technology. A Concept 2 rower, StairMaster Gauntlet. 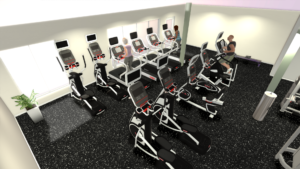 Star Trac upright and recumbent bikes, Star Trac treadmills, and Star Trac crosstrainers were added to provide residents with options. 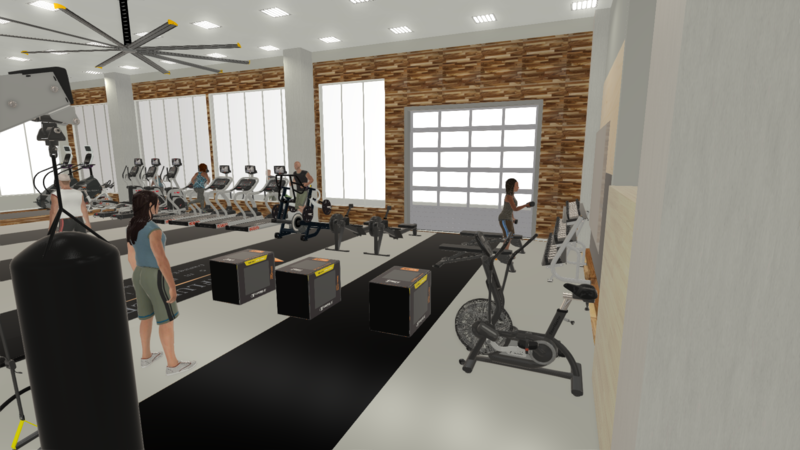 In addition to four Schwinn indoor cycles and a Fitness on Demand system, a TRX multimount and suspension trainers were added to make this multifamily fitness amenity stand out from the competition. 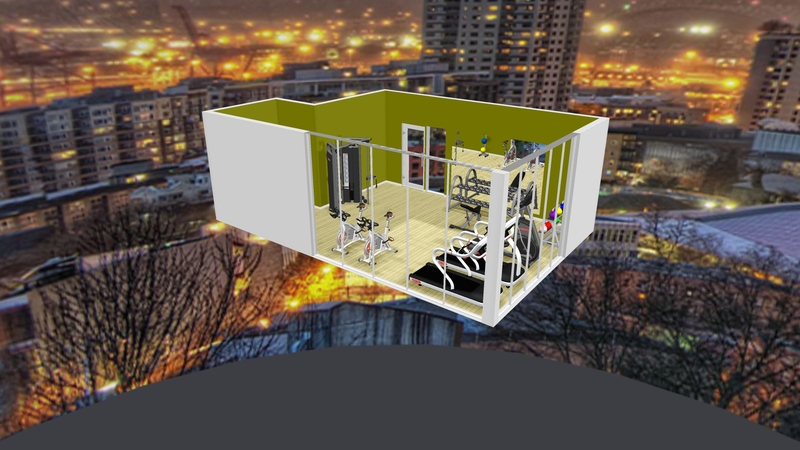 This beautiful 6,000 sq ft multifamily clubhouse in Denver features two levels. 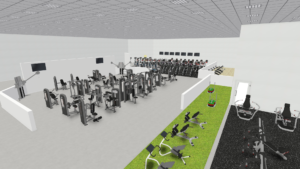 The top level overlooks the downstairs level where functional training, strength, and the group exercise studio are located. 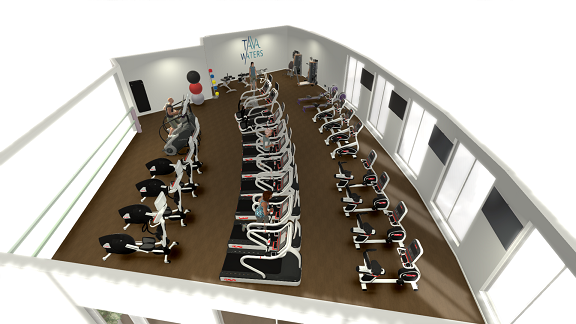 Wall mounted TVs were added for the front row of cardio. Some strength was added in this area including Nautilus Human Sport and Hoist Strength. 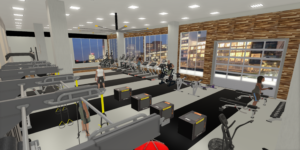 An indoor cycling area, functional training area with a Torque cage, and a group exercise studio with barre complete this amazing multifamily fitness center. 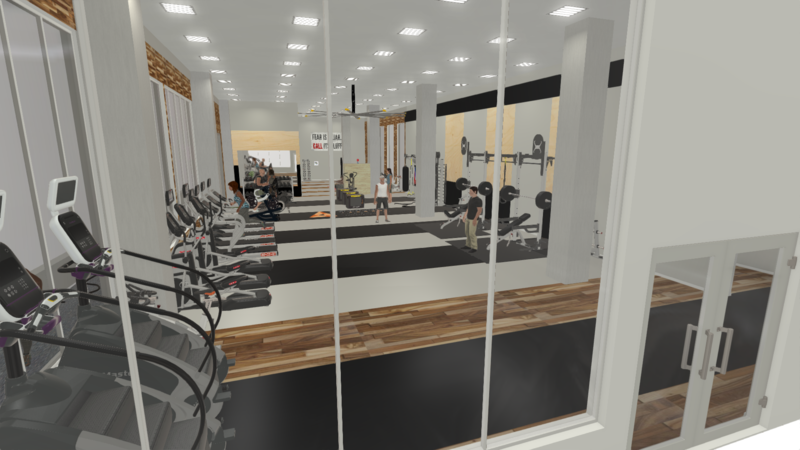 This beautiful 5,000 sq ft multifamily clubhouse in Denver focuses on functional training and Crossfit style activities. 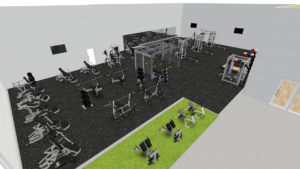 The indoor functional training features a TORQUE storage and functional training area, Stairmaster HIIT Rowers, Stairmaster HIIT MILL X, soft plyo boxes and dumbbells A garage door was added to allow access to the outdoor functional training space. 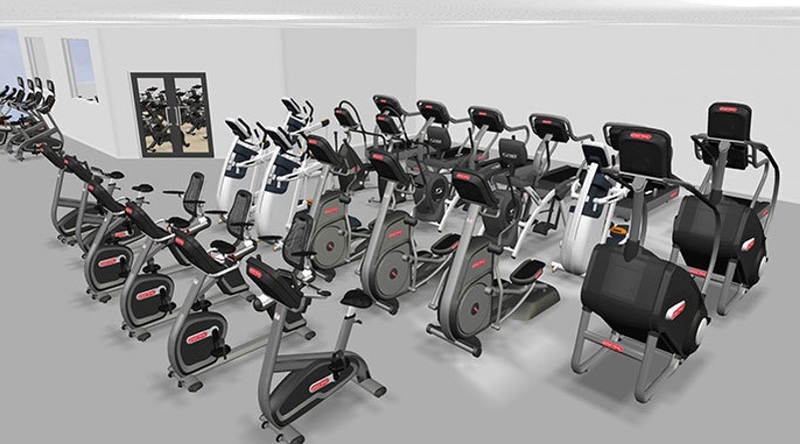 The Group Ex studio offers Fitness on Demand with Schwinn Cycles and small equipment equipment for classes. 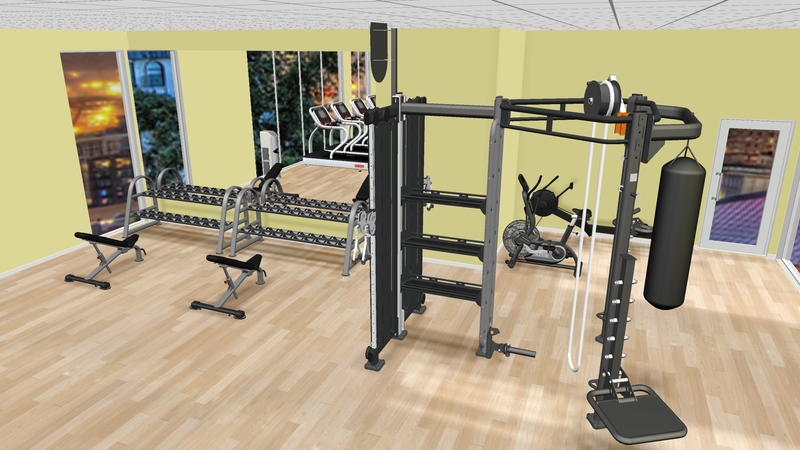 A Torque wall mounted half rack system (far right) allows for olympic lifts. 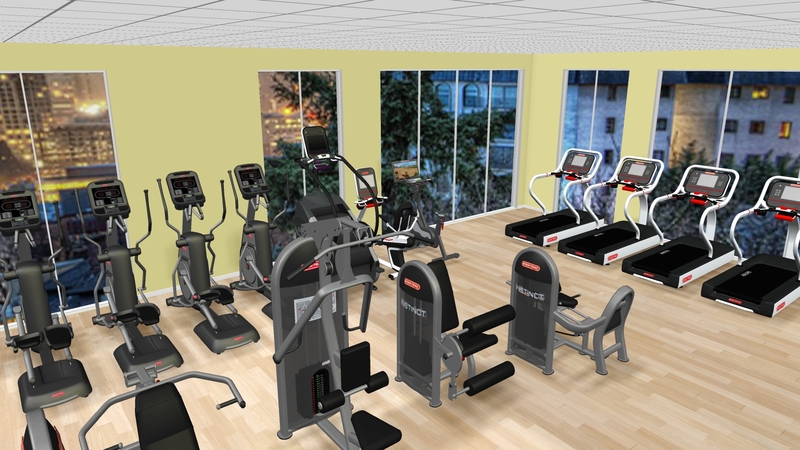 Star Trac and Stairmaster offerings make up the cardio sections including Gauntlets, crosstrainers, and treadmills. 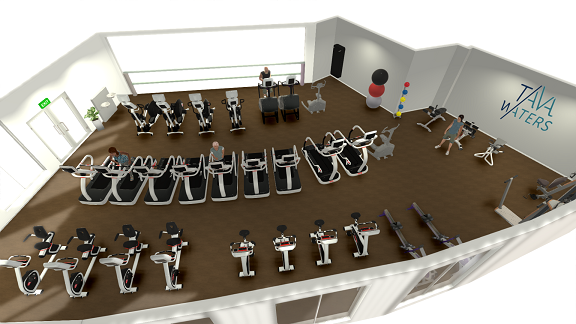 The ALIVE Health Club by Raintree Athletic was designed and supplied by Sport & Fitness Inc. 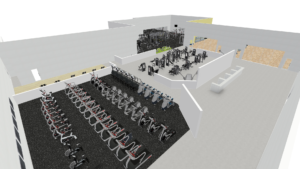 The 25,000 SQ FT health club opened in Fort Collins in December 2017. 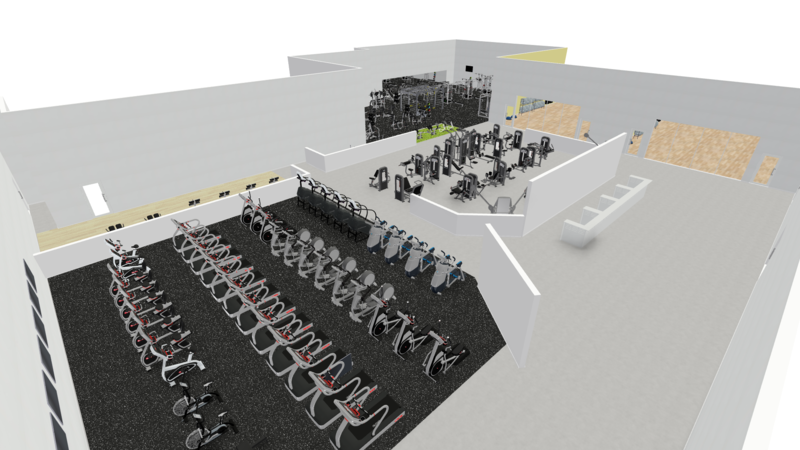 The club features a large cardio area with Star Trac treadmills, bikes, and crosstrainers. Other cardio includes Stairmaster Gauntlets and HiiT Bikes, Precor Ellipticals, and Peloton cycles. 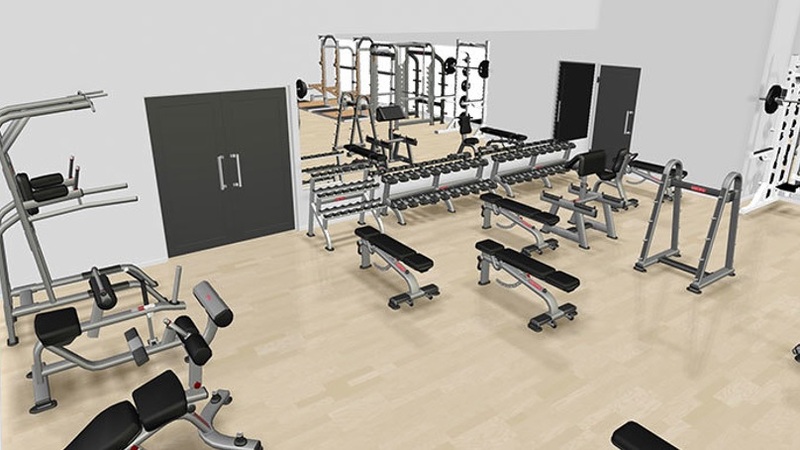 The strength areas features Nautilus Impact selectorized machines, Leverage plate loaded, Half Racks with platforms, and Nautilus benches and free weights. 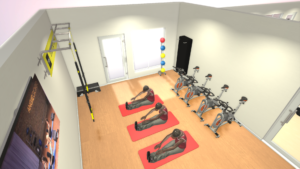 Functional training includes 2 TRX bridge systems with a sled and turf area. The stretch are core area feature Nautilus benches. TVs were placed around the facility for MYZONE technology. 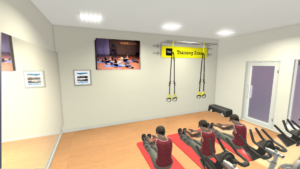 Two large group exercise studios feature Fitness on Demand systems. 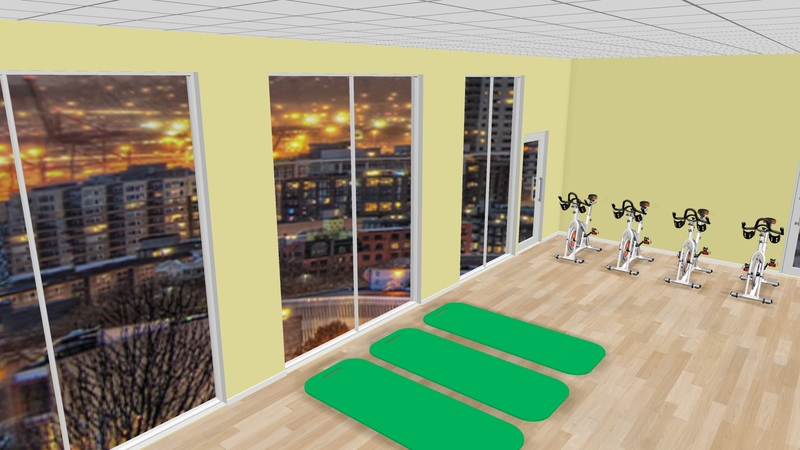 This corporate center included 1100 sq ft of fitness space and an additional 600 sqft group ex studio. 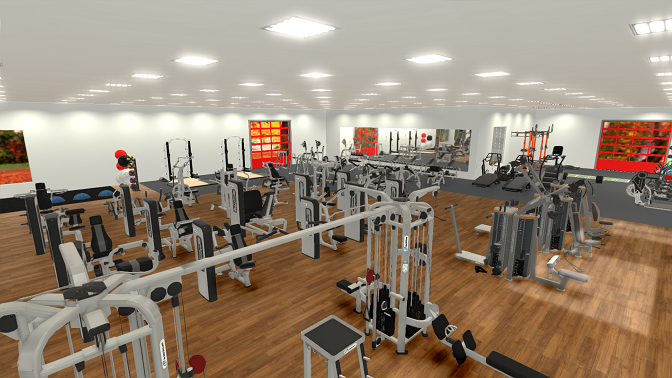 A solid mix of traditional fitness and functional training equipment was desired for corporate members. 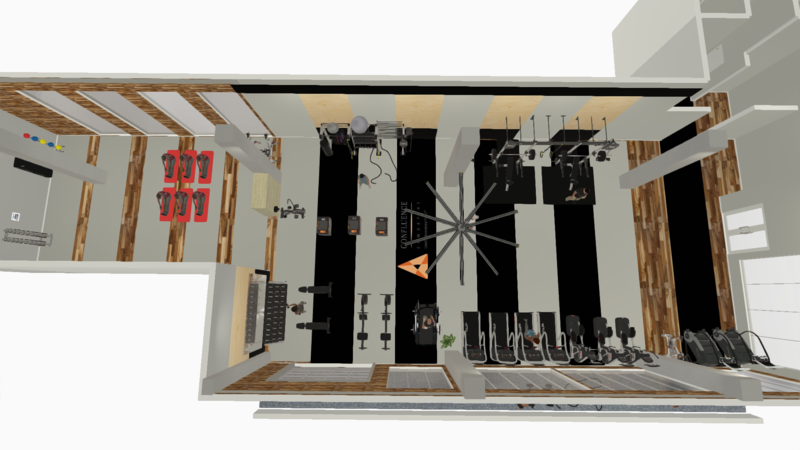 At the heart of this design is a Torque multi functional trainer with heavy bag, plyometric platform, rope pull, cable system, ball target, kettlebells, and medicine balls. 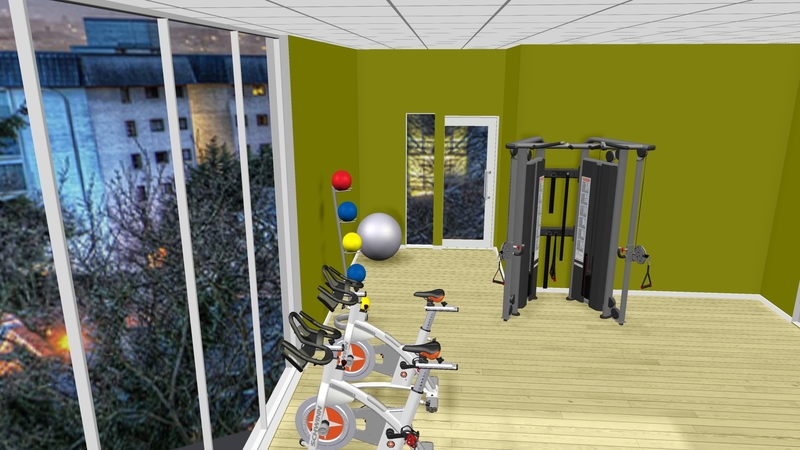 In the back, a Concept 2 rower and StairMaster Airbike were added for high intensity cardio. 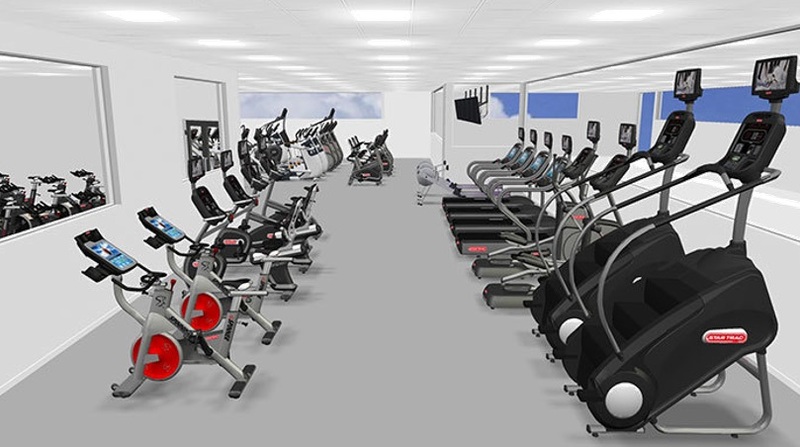 High end Star Trac cardio with embedded computer screens and Open Hub technology allows for an onboard personal trainer to coach members. The cardio was purposely placed to take advantage of the stunning views. 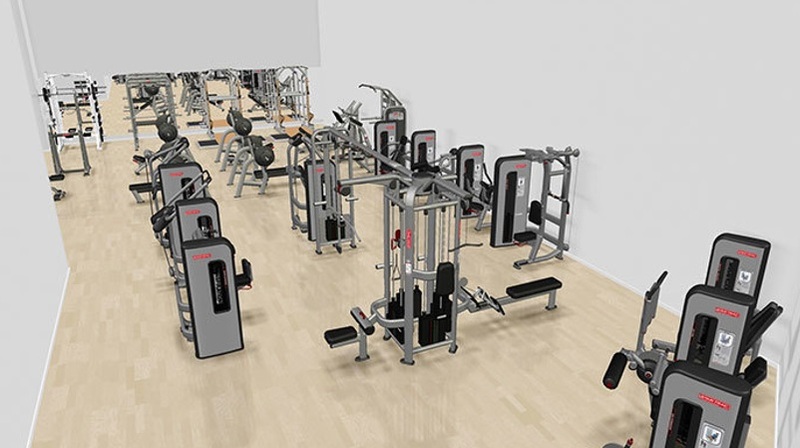 Space saving Nautilus dual purpose strength machines were added to provide nine different lifting options with only four units. 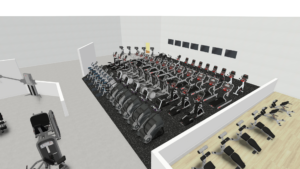 High end Schwinn Carbon Blue bikes were added to compliment the group exercise studio as well as many accessories for yoga. 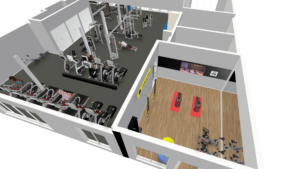 This 15,000 sq ft project is comprised of a large cardio area, weight lifting and strength areas, group exercise studio, indoor cycling studio, and a functional training area. 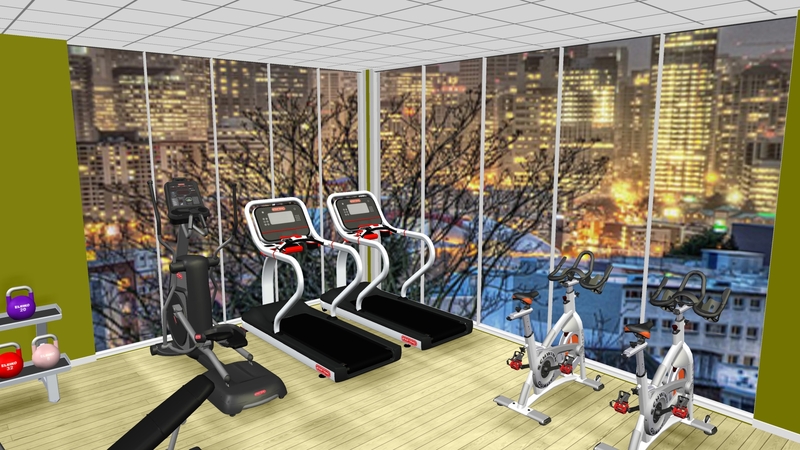 The cardio options include Star Trac Versastriders, treadmills, bikes, ellipticals, and Stairmaster Gauntlets. Expresso bikes were also added. 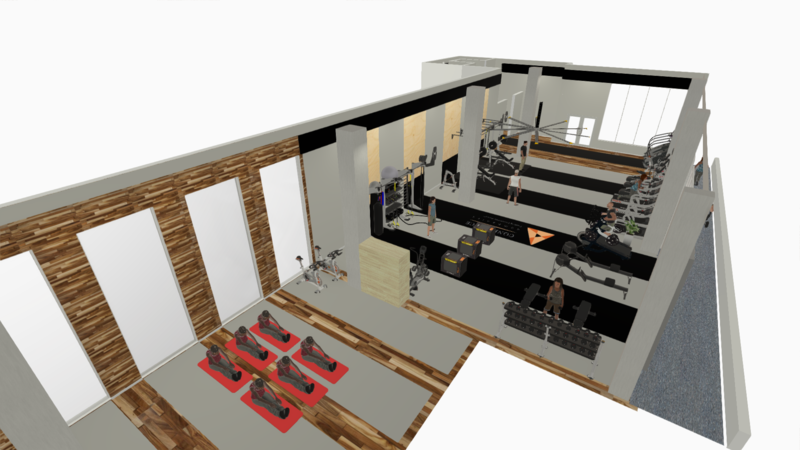 The functional training area includes StairMaster Airbikes, Hiitmills, upper body ergometer, plyo platforms, and a Torque lifting cage. 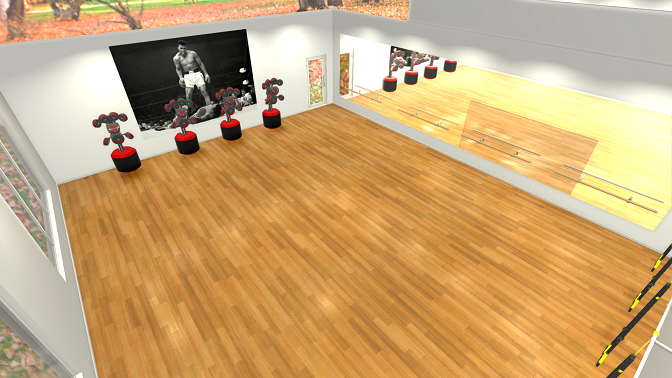 Clear ADA walk ways are present and the floor is a durable rubber product that resembles hard wood flooring. 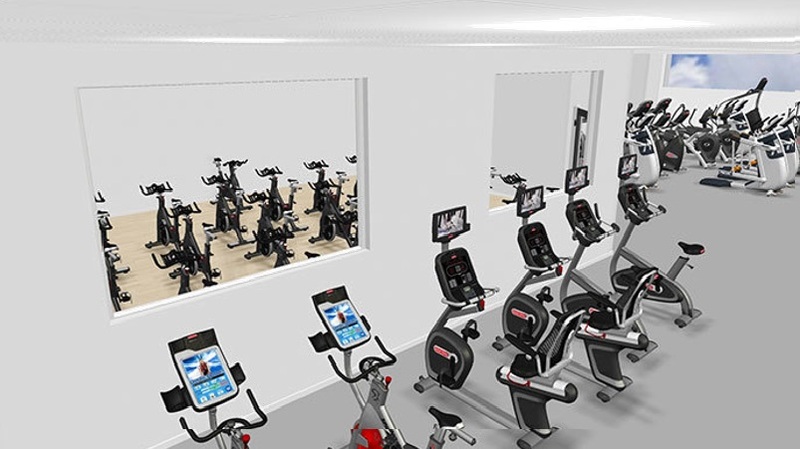 The indoor cycling studio features Schwinn Performance Plus cycles. Stages were designed for the space allowing members in the back rows to be part of the action. 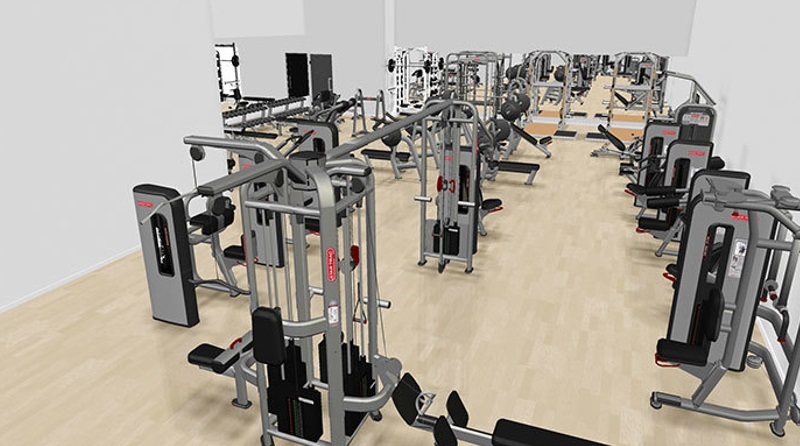 The strength area includes Nautilus cables, Inspiration selectorized machines, and Human Sport equipment. 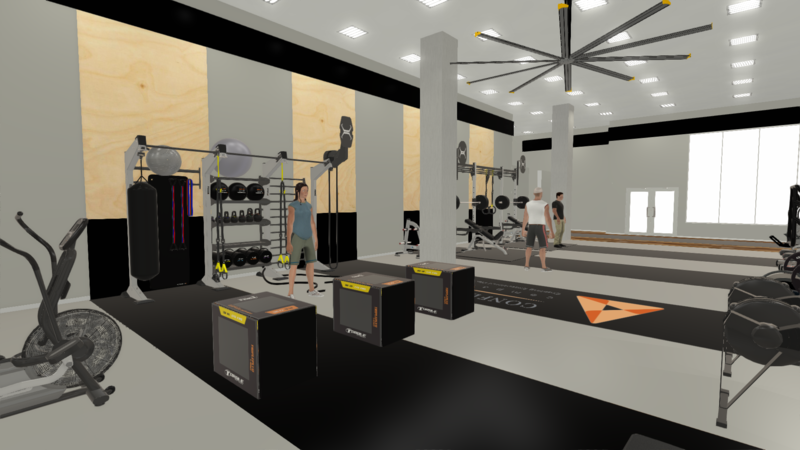 The group exercise studio includes four Boxmaster tower units, ballet bars for barre fitness, and TRX multimounts for additional functional training. 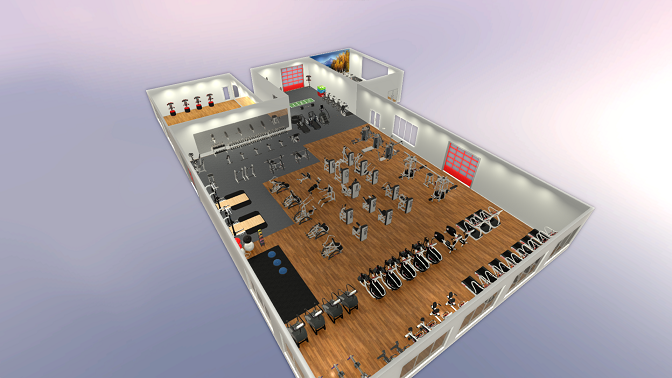 AIMS Community College is 50,000 sq ft with 15,000 sq ft of fitness space. AIMS called for 55 pieces of total cardio. 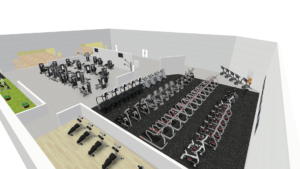 The majority is comprised of Star Trac 8 series treadmills, bikes, indoor cycles, and cross trainers. 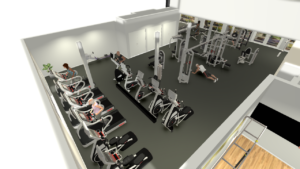 Also StairMaster Gauntlets and Helix laterals trainers were added to provide an abundance of options with no waiting time. 900 MHZ receivers were added to most units allowing for access to TV listening through headphones. 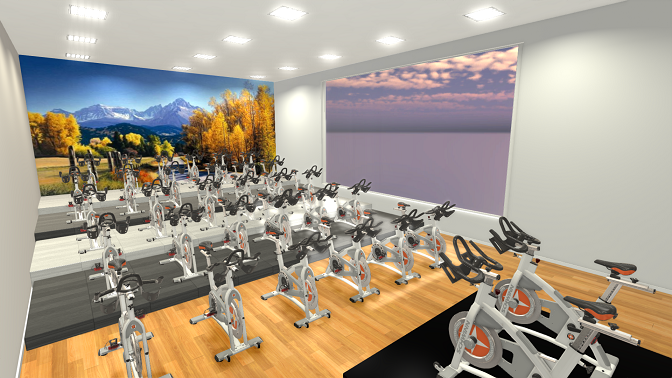 Additional indoor cycling bikes were added just outside of the cycling studio allowing for any member to be part of the class at anytime. 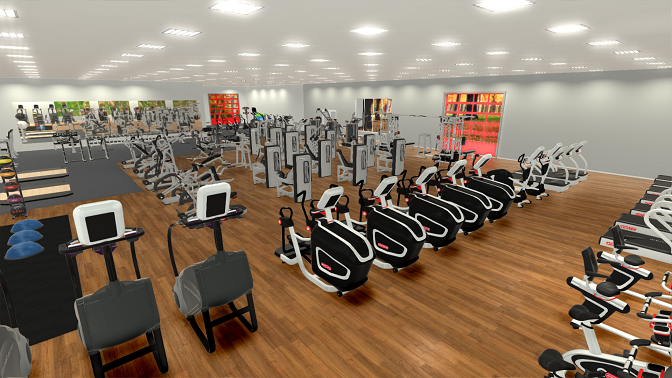 A full line of high end Nautilus Inspiration strength and cable systems allow for a high volume of members at peak times. 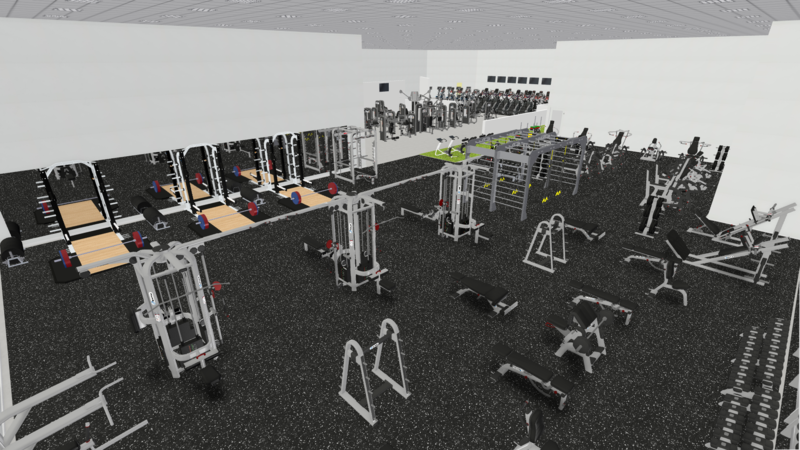 In the background, York half racks with platforms and inserts allow of Olympic lifting in a safe environment. 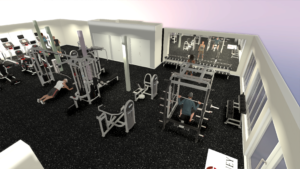 The free weight area features dumbbells up to 100lbs, barbells, and various core units. 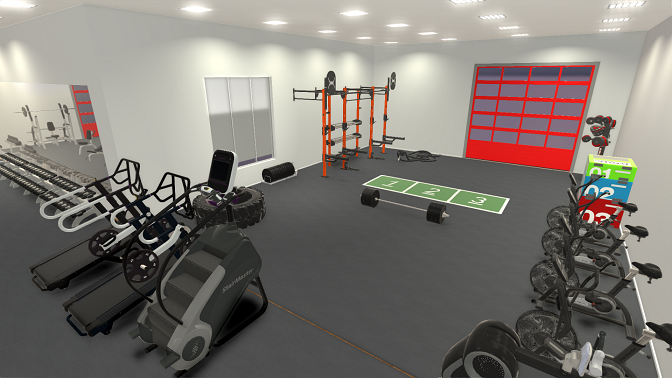 The double doors lead to a functional training area with a Torque cage, StairMaster Airbikes, and accessories including medicine balls. 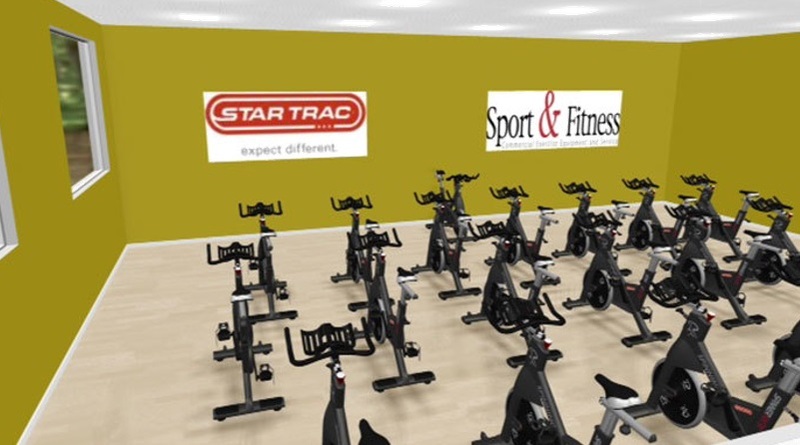 18 Star Strack Studio 5 bikes were added to complete the facility. This hotel space measures 450sq ft with beautiful floor to ceiling windows. 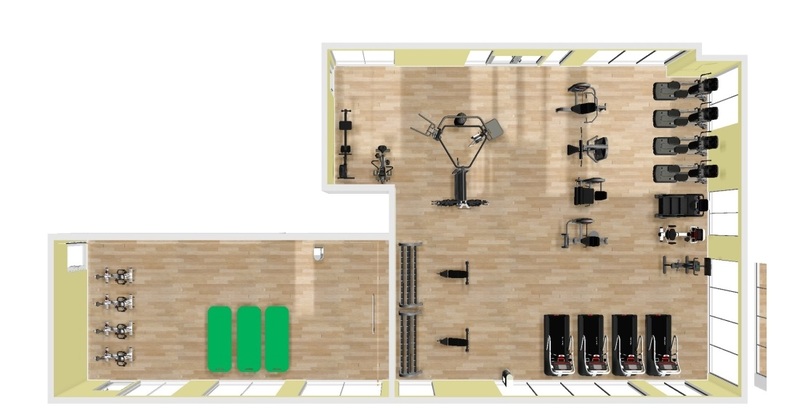 Our goal was to provide maximum workout options in a smaller space. 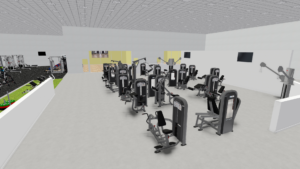 Star Trac cardio including the 8 series treadmill and an elliptcal glider were added. Also, two high end Schwinn indoor cycles. Two Nautilus multi-adjustable benches with dumbbells 10-80lbs were added for strength and a Nautilus Instinct dual adjustable pulley.